This is my final piece: Transitioning back to work. Have you read the first few pieces? I wrote about my pre-preparation for Aidan's arrival, bringing Aidan home and a dad's role. I won't lie. Going back to work was hard. The first day I left Aidan, I cried. Honestly, I hated going back to work and being apart from Aidan. It is still hard but it's much better now. My last piece will focus on how I managed to transition back to work. 16 weeks of maternity leave is way too short. Seriously. In the beginning, Skai and I thought of sending Aidan to my MIL's place (she will be the primarily caregiver while I'm back at work) a week before I started work so that it would be easier for me to be apart from Aidan. 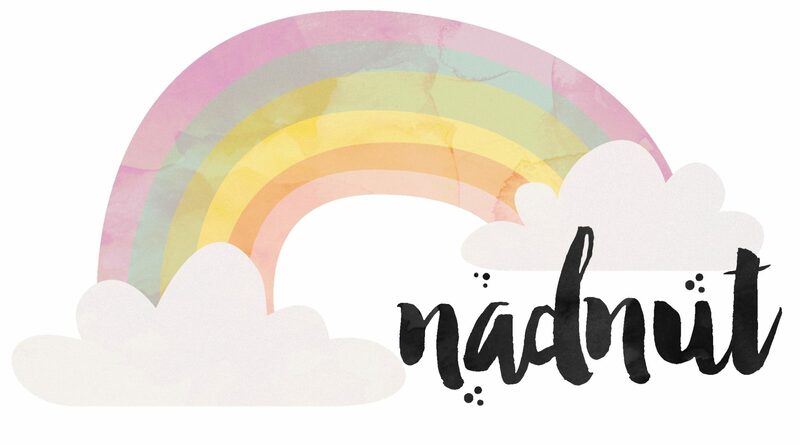 Posted in #AidanSim, #nadskai, #nadskaijunior, Announcements, Body, Breastfeeding, Love, Singapore Lifestyle Blog, Singapore Mom Blog, Singapore Parenting Blog, Sponsored, Tips. Tags: #nadskai, #nadskaijunior, Aidan Sim, Aidan's birth story, baby aidan, Baby Milestones, Birth announcement, Breastfeeding Journey, Double Electric Breast Pump, Electric Breast Pumps, feedingforfuture, nadnut, nadnut birth, nadnut breastfeeding, nadnut pregnancy, nadnut pregnant, nadnut's birth story, nadnut.com, nadnut.com - Singapore Lifestyle Blog, Parenthood Blog Singapore, Parenting Blogger, Parenting Bloggers Singapore, Philips Avent, Philips Breast Pump, Philips Singapore, PhilipsAvent, PhilipsSG, Pregnancy, Singapore Baby Blog, singapore lifestyle blog, singapore lifestyle blogger, Singapore Mom Blog, Singapore Mom Blogger, Singapore Mommy Blogger, Singapore Motherhood, Singapore Parenthood Blog, Singapore Parenting Blog, WBW2016, World Breastfeeding Month, World Breastfeeding Week on August 31, 2016 by nadnut. As some of you guys may know, I collected my keys to my spanking new BTO not too long ago. I joined my BTO group discussion on Facebook since we first ballotted our keys years ago. From the group discussion, we learnt a lot of stuff e.g. beginning of key collections, group deals, tips and tricks! One of my neighbours had actually recommended and had organised a group buy with Ark Interior who specialises in defects checking. We decided to take up the deal after reading about the crazy amount of defects other HDB owners have spotted. After waiting 4 years for a premium BTO, one would expect a decent place right? We were wrong. Upon collecting our keys, Wee Kwang from Ark Interior (at the time of inspection, I understand that he has left to Absolute Inspection now) and his crew inspected our humble 4 room flat. Posted in #nadskaihome, BTO, Home, Home Decor, Singapore BTO Blog, Singapore Lifestyle Blog, Tips, Tips on Tuesdays, Yours truly.... Tags: Absolute Inspection, Absolute Inspection Defects checkin, Ark Interior, Ark Interior Defects checking, BTO blogger, Defects checking, HDB BTO defects, Home, nadnut, nadnut.com, nadnut.com - Singapore Lifestyle Blog, Punggol BTO, Singapore Blogger BTO, Singapore BTO Blog, singapore lifestyle blog, Tips on Defects Checking, Tips on Tuesdays, Wee Kwang Absolute Inspection, Wee Kwang Ark Interior on October 6, 2015 by nadnut. Our yearly friend, the haze is back! Personally I'm feeling quite unwell from the haze and thus decided to share some tips on how to combat the dreaded haze! Posted in Announcements, Singapore Lifestyle Blog, Tips, Tips on Tuesdays. Tags: #SGhaze, haze, Haze in Singapore, nadnut, nadnut.com, nadnut.com - Singapore Lifestyle Blog, singapore lifestyle blog, Tips on dealing with the haze, Tips on Tuesdays on September 15, 2015 by nadnut.